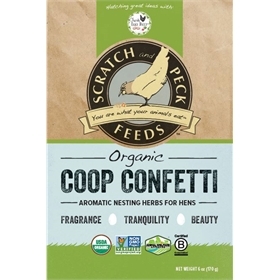 Benefit your hens AND your nose. 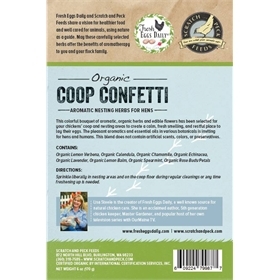 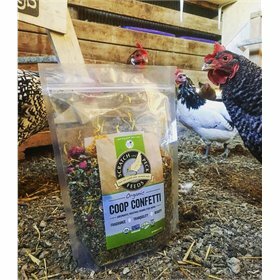 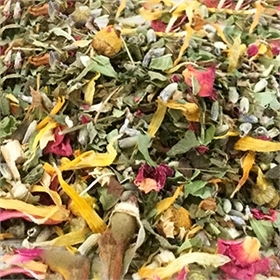 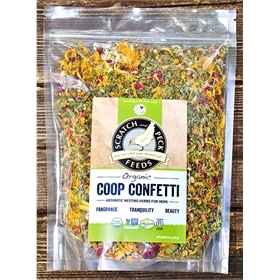 Organic Coop Confetti is a colorful bouquet of carefully selected herbs and flowers to sprinkle in chicken coops and nesting areas. 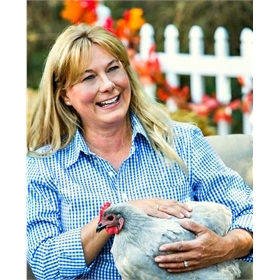 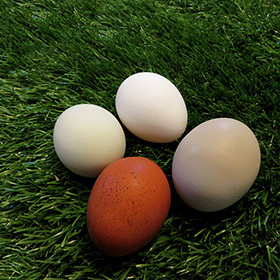 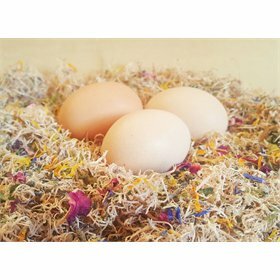 The pleasant aromas and essential oils from these botanicals negate stinky odors, and create a fresh smelling, calm and restful place for your hens to lay their eggs.